Beth Ashton Design Consultants have been delivering dream homes to clients for over 20 years. The high standards of our work has given us a reputation recognised across the world. Having worked on projects both home and abroad, we have touched on nearly every aspect of Architectural and Interior design. Our success is founded on the attention to detail we give, creative innovation and the deep understanding of what our clients are looking to do. Every client has their own unique vision of what makes the ideal home. In every project we do, we seek to create designs that reflects their aspirations and lifestyle. The size of the project is no obstacle to us. The team at Beth Ashton Design Consultants have considerable experience working on projects of differing scale and scope. We'll even take away the headaches by liaising with architects and manage the project from conception to completion. 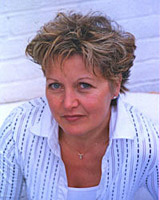 Beth Ashton is an active member of the British Interior Design Association. She sits on the panel that interviews prospective members and also acts as a judge at design awards. This involvement with the design community puts us in a unique position to be at the forefront of innovation and design, enabling us to translate these new concepts into our client's homes or projects.